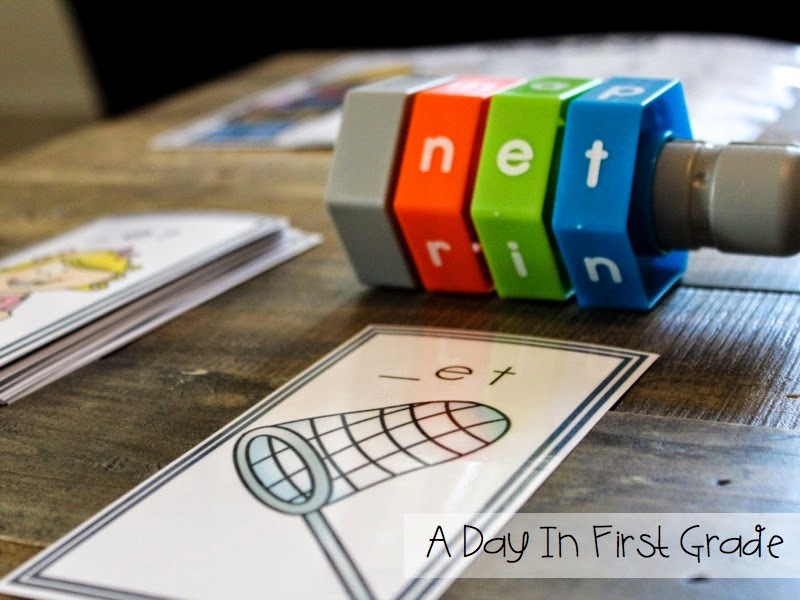 A Day in First Grade | Well, the cat’s out of the bag! Well, the cat’s out of the bag! So, the craziest thing happened to me about two weeks ago. In order to explain it correctly, I have to back track to ten years ago. Ten years ago, I was living in the Boston area working at a small Christian school teaching K5. (5-year old kindergarten) I taught there for a few years and loved everything about my job and the Boston area. However, after three years of teaching there, I ended up getting a job in Austin, TX and drove 30 hours across the country to embark upon a new and exciting adventure. While I absolutely love Austin, I have been offered a job teaching at the school that I used to work for in MA and am moving there in…. 10 DAYS! During my house hunting, I had a GREAT time in Boston. 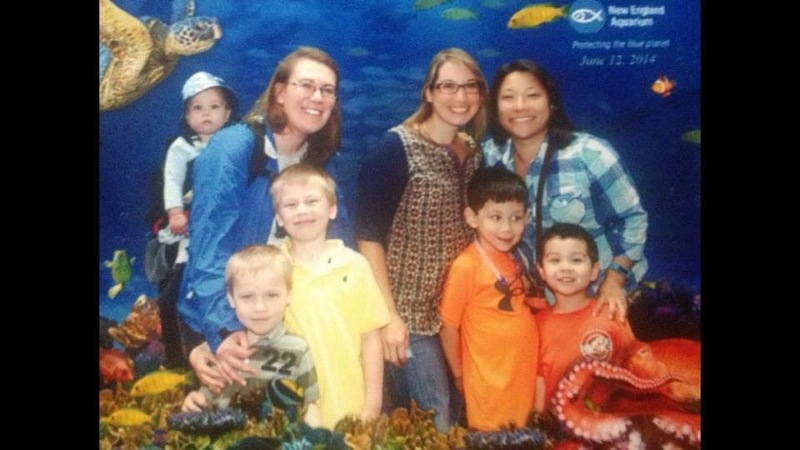 I met up with some friends and had a blast going to the aquarium with them and their adorable children. 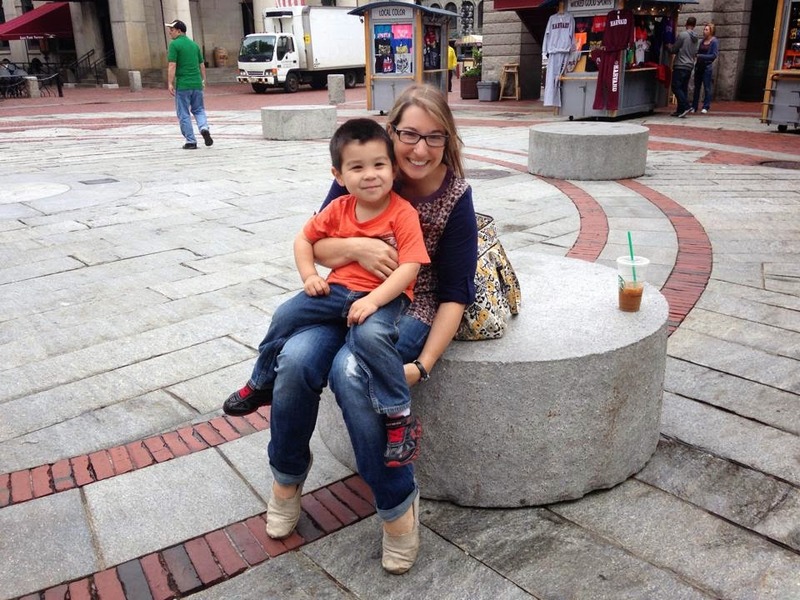 We hung out in Fanueil Hall and ate some delicious clam chowder. I also was able to spend a few days with Maria from Kinder-Craze! It was so much fun hanging out with her! Now for the BIG news… Not only am I moving across the country but I also will be changing grade levels. I will be back in my old classroom teaching KINDERGARTEN. I’m excited and nervous and sad and happy all at the same time. To start my new adventure in a new grade level, I created a brand new center pack to help start my school year off right. I am SO excited to use it and to get back into kindergarten standards and themes. Be on the look out for MANY new products, themes, scope and sequences and more!! 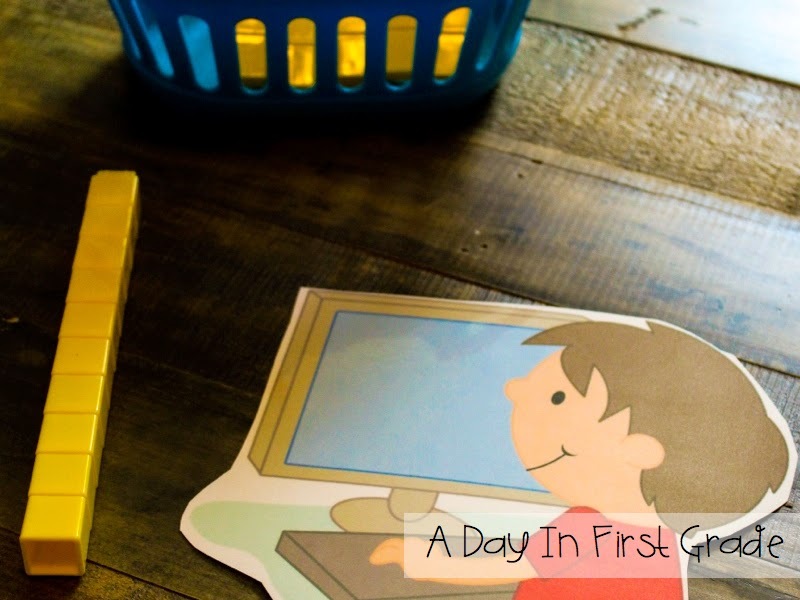 This new pack is full of centers to foster independence in your students while helping you teach routines, procedures, and assessments during your first few essential weeks of school. The centers will help you run your small group time and also prepare your students for all that they are going to learn throughout the school year. 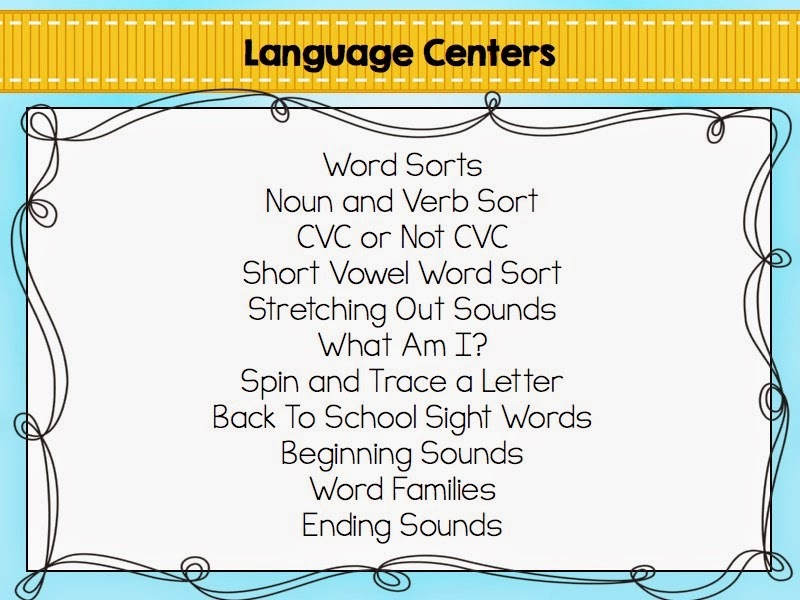 These centers are designed to meet the needs of the multitude of skill levels you have in your classroom. Some centers provide work on basic phonics and math skills, where other centers are designed to challenge higher-leveled students. 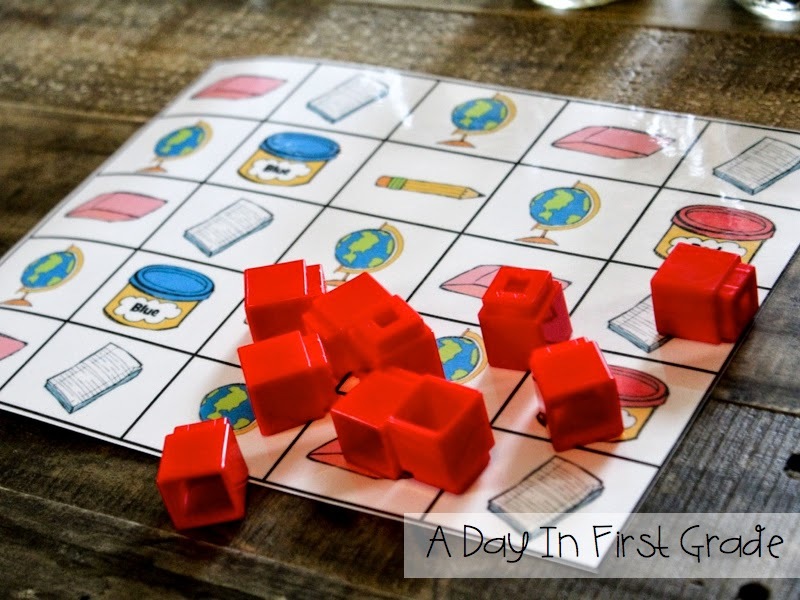 For the language centers, I am going to introduce them first in small groups and use them as a way to introduce some of the manipulatives that we will use throughout the school year. 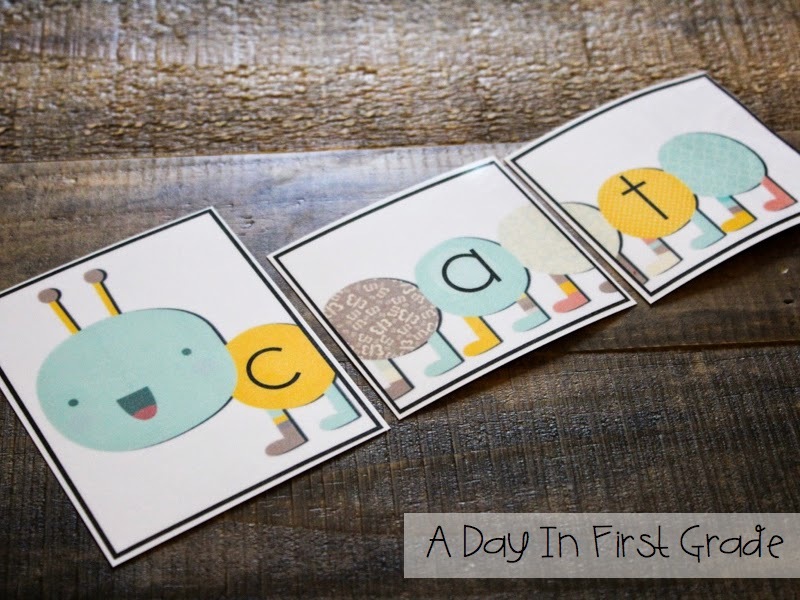 One center is geared towards helping your students sound out CVC words through caterpillar puzzles. I will introduce this to my students in small groups and we will refer to stretching out sounds throughout the school year. Another center that I am really looking forward to using is my word family center. 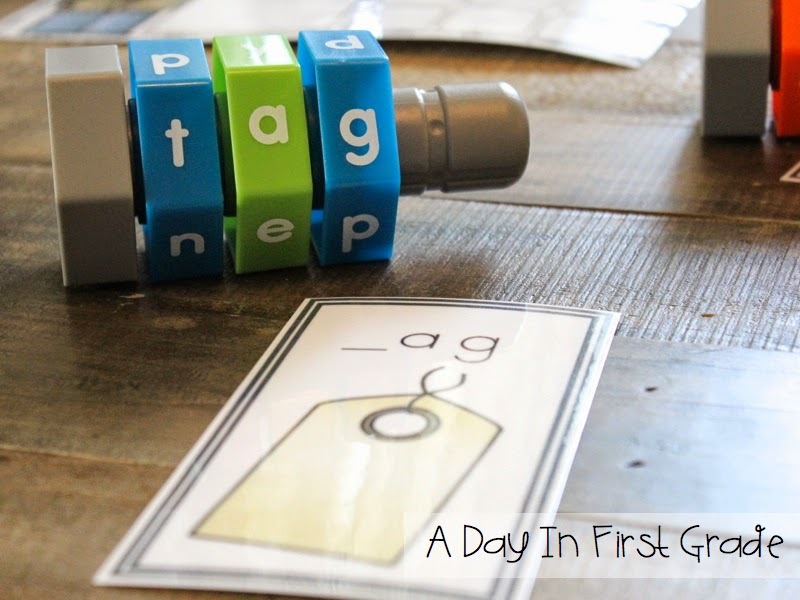 In this one, I will only use one word family at a time (in the beginning of the year) and change out the manipulatives to keep the interest high. 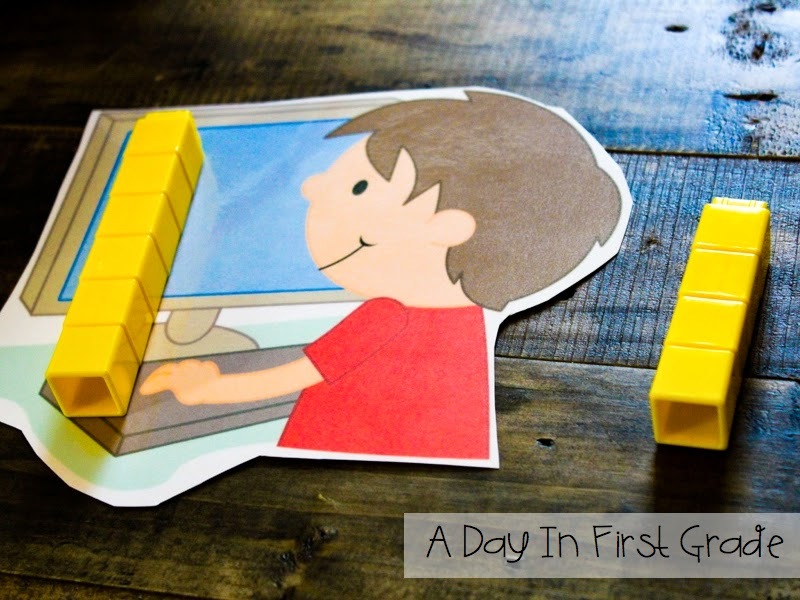 My students will begin with the -at family using letter tiles and my letter manipulatives. I also have letter linking cubes that I know my students will love to use! If you don’t have these cubes, you could write letters on your linking cubes using a sharpie! I bought these at a teacher store for $19.95. 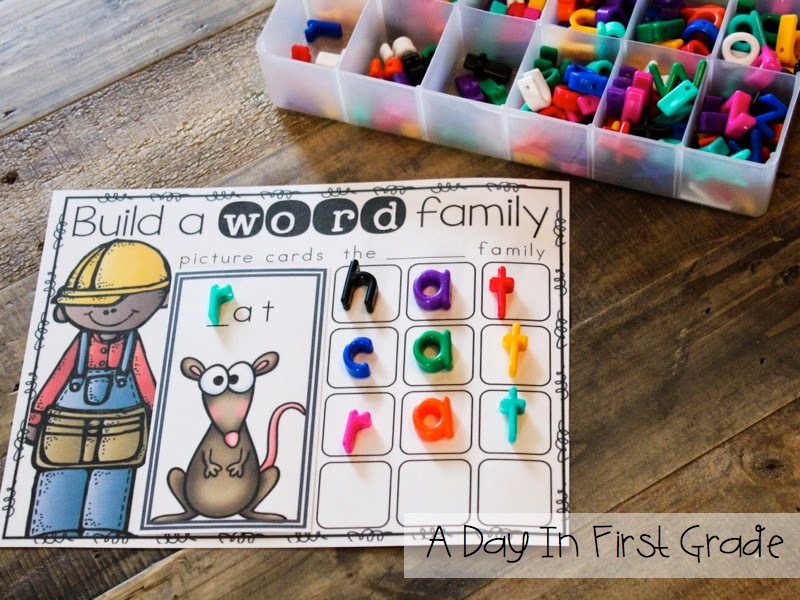 I will also use the word family cards to have my students make words using these fun “word construction” manipulatives during word work. I know my boys will love using these! 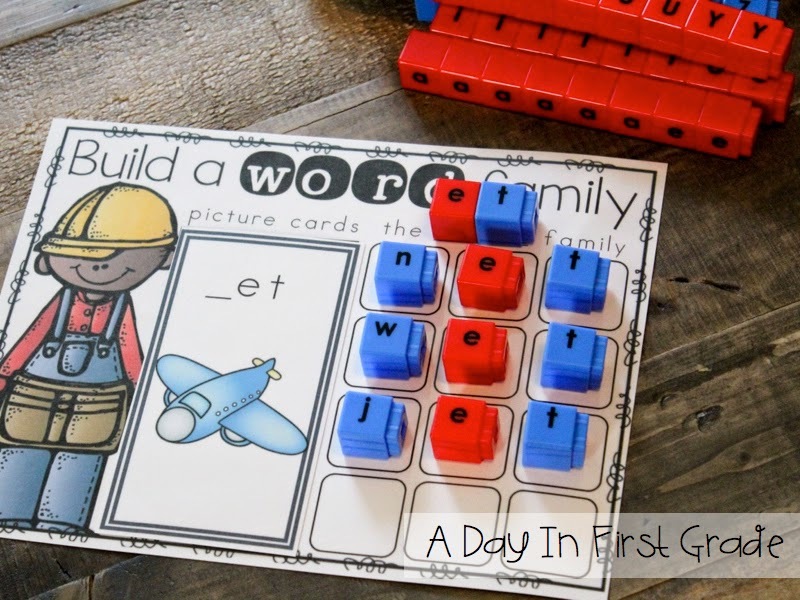 The centers pack also includes centers to help students make CVC words, read riddles, practice their handwriting, match capital and lower case letters together and more! 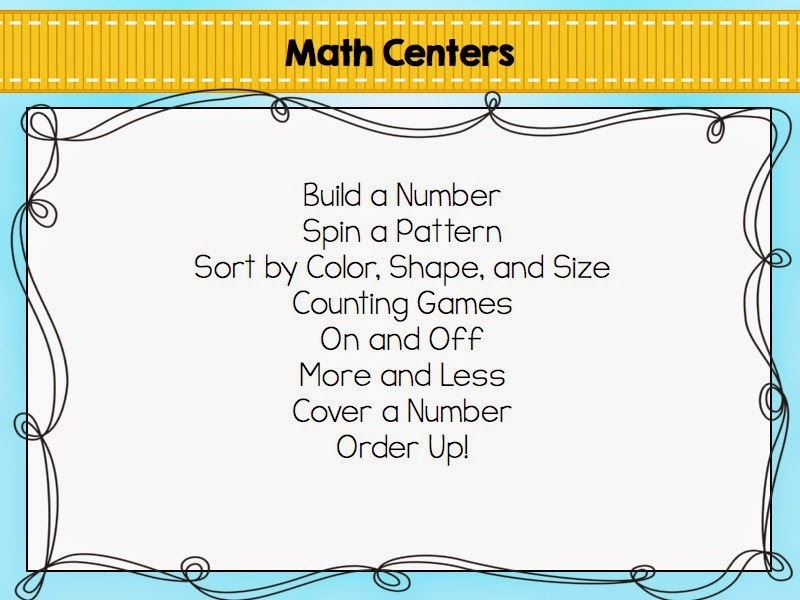 The pack also includes a ton of math centers! 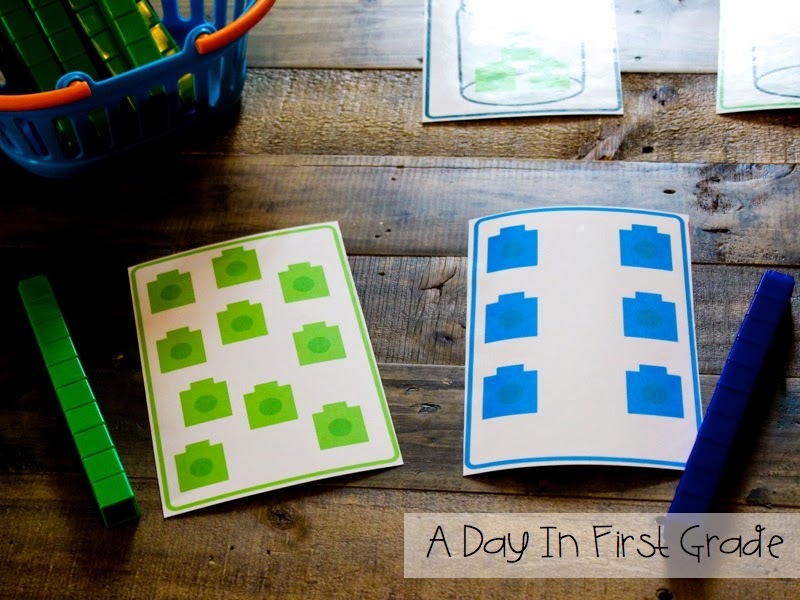 These centers focus on counting skills, 1-1 correspondence, and many number concept skills that will be essential as the year progresses. 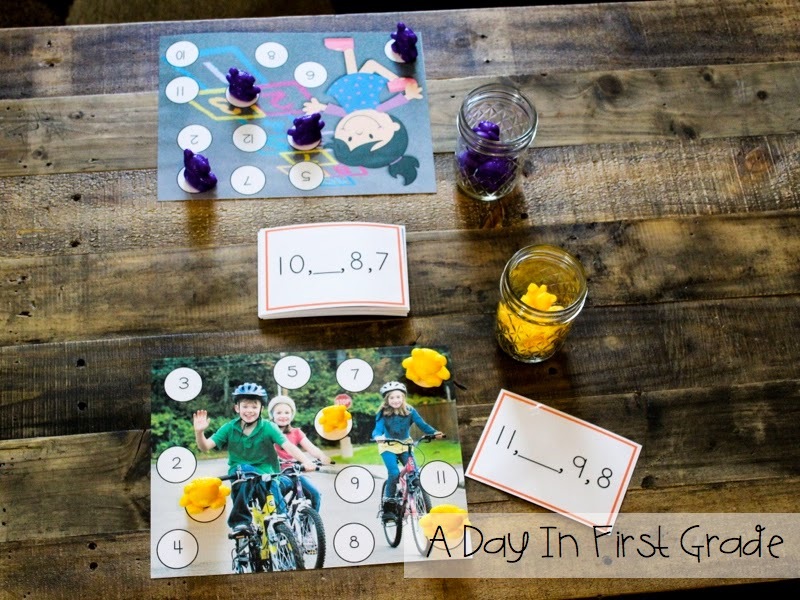 One of the first activities that I will use during our small group time will be a quick assessment for me. This center is called “on and off.” For this centers I cut out a few pictures and put some unifix cubes in a basket. For this center my students will take apart the cubes and put them in their hands. They then will drop the cubes over the picture. After they drop them, they will make towers of the cubes that landed ON the picture and OFF the picture. Next, they will count up the cubes and determine which had more. The cubes ON the picture or the cubes OFF the picture. 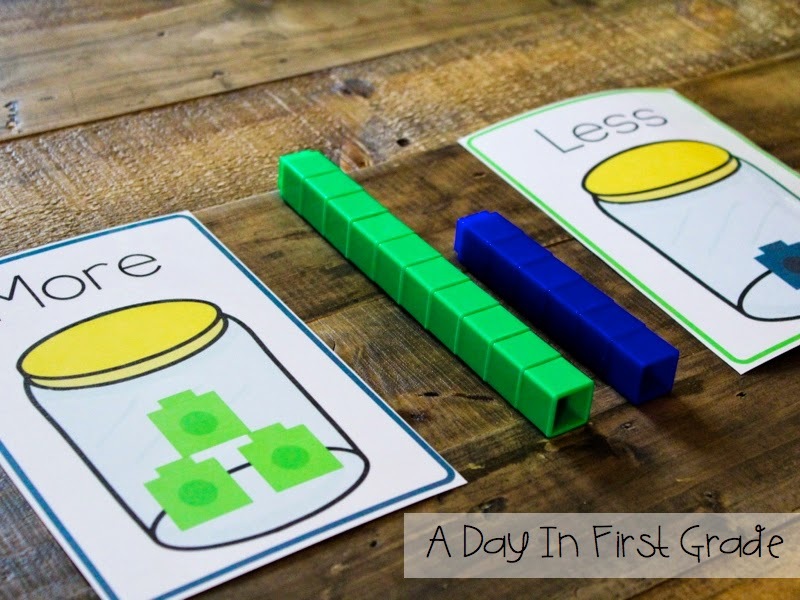 This is a great center to assess your students counting skills, 1-1 correspondence skills, and greater than or less than skills. This next center practices the same skills. 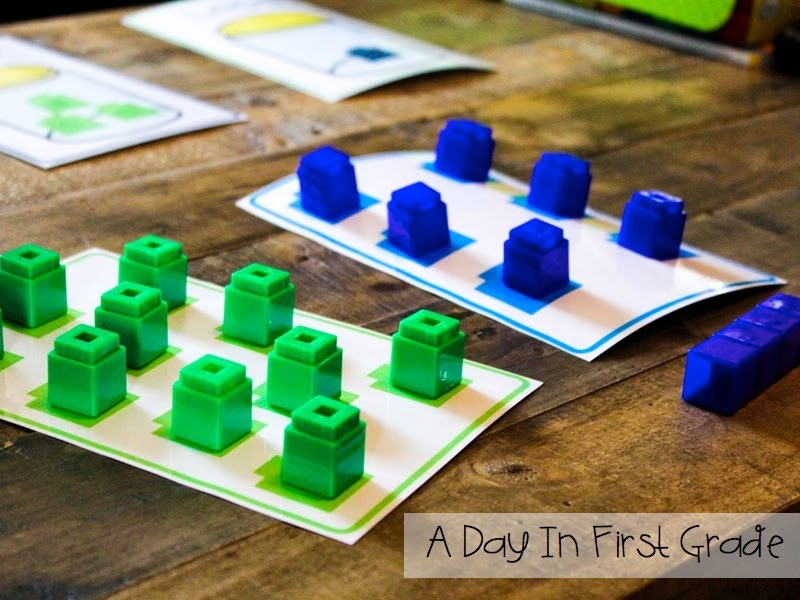 For this center, your students will take out two of the unifix cube cards and match their cubes to each cube on the card. After they have matched all the cubes, they will make towers with the cubes and compare the two numbers. Again, this center will help your students determine which tower had MORE and which center had LESS. Another standard in kindergarten is the ability to sort by attributes. There are a variety of attribute sorting centers included in this pack. Students can sort by size, shape, color and more. 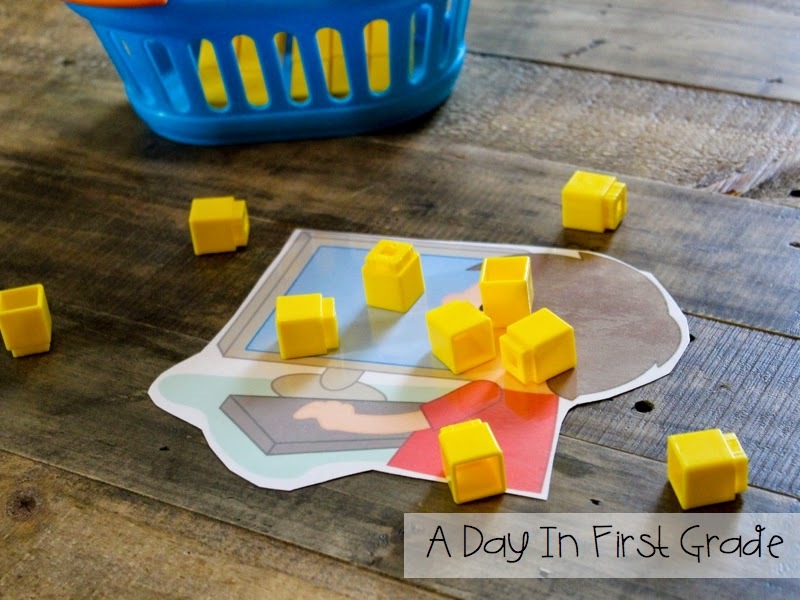 This is an easy, independent center that your students can do. Your students can sort by size. Or they can sort by color. There are also sorting labels for numerous shapes, too. The last center that I am going to show is my “Cover it Up” center. 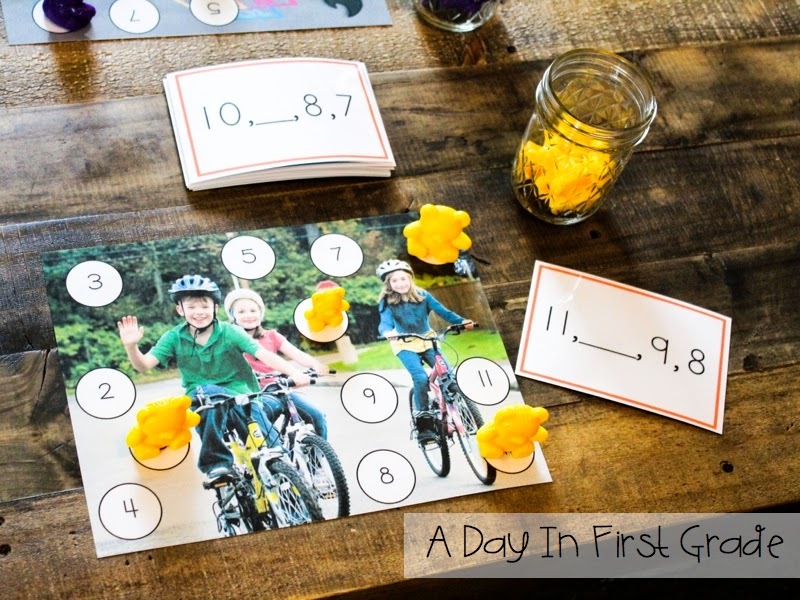 In this one, your students will pull out a counting card and a work mat. They will then determine which number is missing and cover that number on their mat. The student that covers all their numbers first, wins! The counting cards are differentiated as well. Some of the cards count up and others count backwards. This allows you to meet the needs of all of the students in your class. There are also work mats that focus specifically on teen numbers. 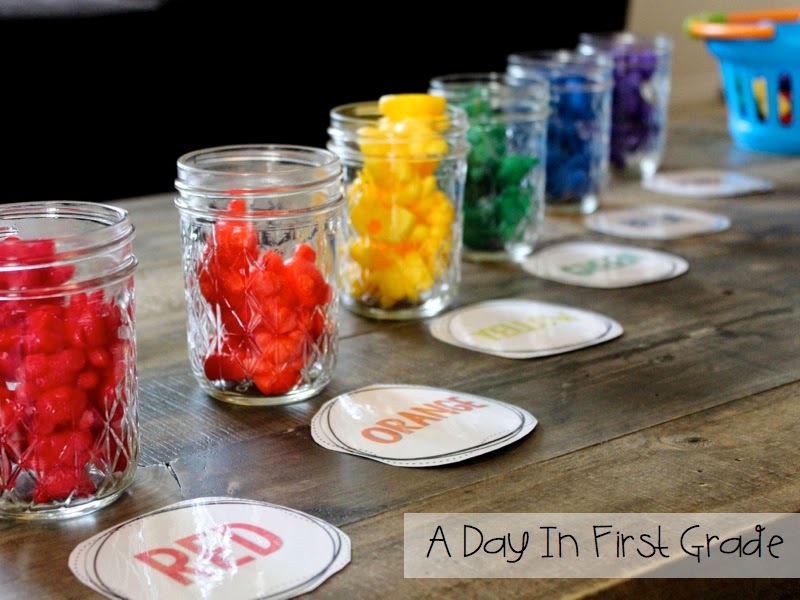 You will LOVE these centers to help you start your school year. The centers will help you set the tone for your center rotations and also help you gauge where your students are academically. Good Luck!! If you want these centers NOW they are ON SALE for only two days. You can get them by clicking on the cover. Cute house- I teach Kindergarten and love it!!! Congratulations and Good Luck! I teach kindergarten, and these centers look fantastic! I would love to win! Congratulation, good luck, and safe travels! Blessings on your new journey! Congratulations! Your house is so cute; I absolutely love it! What an exciting adventure for you moving back to Kindergarten next year! Congratulations on your move back to New England (I’m in CT). Hope you buy a shovel when stocking up for your new house! Did you miss snow while you were away? I’m not sure if I would! These centers look awesome – keeping my fingers crossed! Congrats and good luck! Can’t wait to see what greatness you come up with for kindergarten. Congratulations on all of your news! I love your house. What an adventure! It’s great that you are moving back to an area you love and a grade you love. We’ll be looking for great new things from you this year. Good Luck! Congratulations! It sounds like it was meant to be! I was born and raised in Rhode Island moved to Florida after college. I LOVE Florida, but miss being near family and friends. We are heading there Friday for 2 weeks and I can’t wait. I hope you have a wonderful year back in Kindergarten and in Boston! Congratulations!!! I love all of your ideas and resources!! They are FANTASTIC!!! Looks like a cute and useful product. Obviously, it was meant to be! I’m so excited for you! Sounds like everything was meant to be (great position, reconnecting with friends, selling your house in 3 hours, finding a cute house)- isn’t it just amazing how the Lord works?!! I’m so excited for you and your new journey! I have to say I will miss your amazing first grade units, but I’m happy for you!! Congrats! Kindergarten is so much fun. Great center ideas! Good luck on your new adventures & welcome to the east coast!! I’m in NY! Good luck! Your new house is so cute! I’m looking forward to seeing all your K ideas! And your new centre pack looks fantastic! Whoa! Lots of changes! Congrats and I hope it all works out well for you. Love the house! Where did you get the word construction letters? Congratulations on your new adventure! So exciting! I have been teaching Kindergarten for 9 years and love it! I also love your new packet- very cute! Wow, congratulations! I hope you have a safe drive. Congrats on all of your exciting news. Congratulations!!! I am so excited that you are moving to Kindergarten!!!! I can’t wait to see and “steal” some of your amazing ideas to use in my classroom! Would love this pack & safe travels!!! Congratulations on this new adventure!! It must be exciting to go back to your “roots”! Congrats on so many new things happening for you! Safe travels for you and your fur baby! Welcome back to MA! Your house is adorable. Welcome back to MA! My husband’s home office is in Austin and we visited for the first time last year and we really liked the Austin area. But, MA will always be home for us! Wow! That is really exciting news. And so neat that you will be in the exact same room. I’m wondering how you ran into Maria. . . she lives in Michigan. Did you also go there, or did she meet you in Boston? That is very fun! I love your house. It looks just perfect! I love the color of it too. Good luck on your new job! I love all your cute stuff!! Can’t wait to use it in August!! That sounds exciting for you! I have loved your 1st grade ideas. I bet I will continue to be inspired by you though. Congratulations! The house is so cute! Good luck back in kinder. Love the centers! Congrats on the changes; they can certainly be fun as well as scary;) No doubt you’ll do just as fab a job in K…but I will also miss the first grade ideas! Best wishes on a fruitful “first” year! So many exciting changes for you. I will miss all your wonderful first grade ideas. Best of luck! Congratulations! I am a kindergarten teacher at a private school and am excited to see the new ideas you’ll be creating. Thank you for a chance to win your packet. You did a fantastic job! Congratulations! 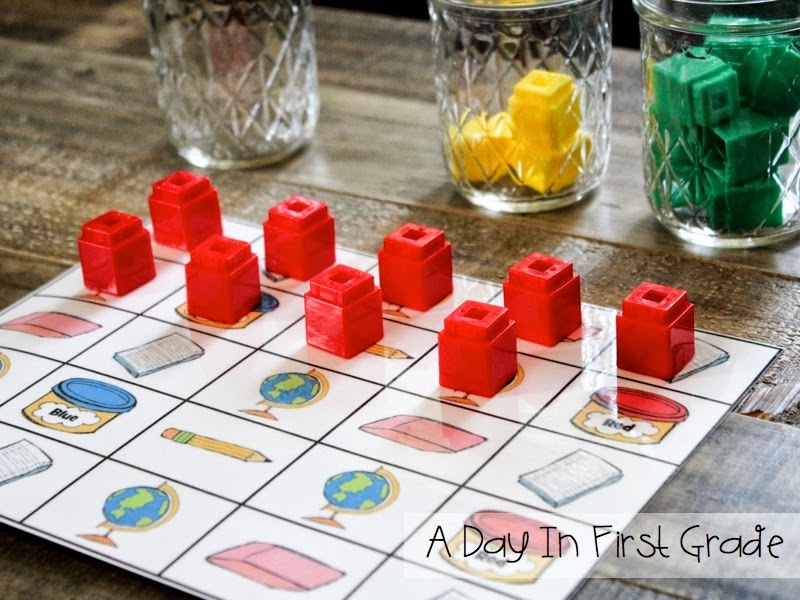 I’m a first grade teacher, but these resources would be great for the beginning of the year! Thank you so much! Congratulations! What an exciting opportunity! Looking forward to using all your new kinder activities! Thanks for sharing! Congrats! Excited for you and your new kindergarteners! Congrats on the exciting opportunity! Brace again for those cold winters. You have the south flowing through your veins now. 😉 I’m excited to see your year as a kindergarten teachers. Your posts are always so engaging! Congratulations on the job, move, and adorable house! How fun! That is a lot of change! Congratulations. Looking forward to learning even more from you now that you will be a K teacher like me! Congratulations and good luck with the move! What an exciting summer! I love the resources you create and so do my kiddos!!! What an awesome new adventure and a fabulous resource! Congratulations on your new adventure! I just love teaching K, it is a new adventure everyday. Your new pack looks fabulous, so excited you will be sharing your expertise by creating Kinder resources now! I love these ideas!!!!! Congrats on your new job!!! Where did you get the plastic letters and storage case? How exciting! Good luck with all of your changes! And thank for creating yet another fabulous resource. This is SO exciting! 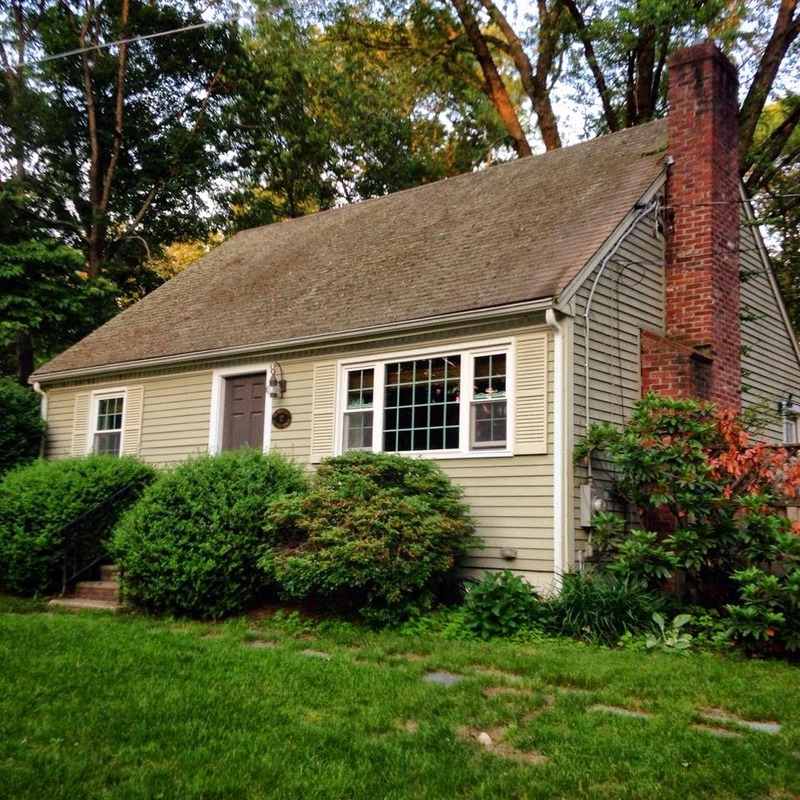 I love your adorable and friendly house and would love to see pictures of the inside of it when you get moved in and settled! What an exciting journey you are on! Congratulations! Oh totally exciting! Enjoy your new adventures! I’m so sad you won’t be teaching first grade anymore. You have amazing ideas. I love seeing what all you do in your classroom– especially your science lessons. Congratulations on your new job and house! Congratulations! While I’m sad that you are no longer teaching first, I’m exciting for you and your new school, job, and house! Yay! 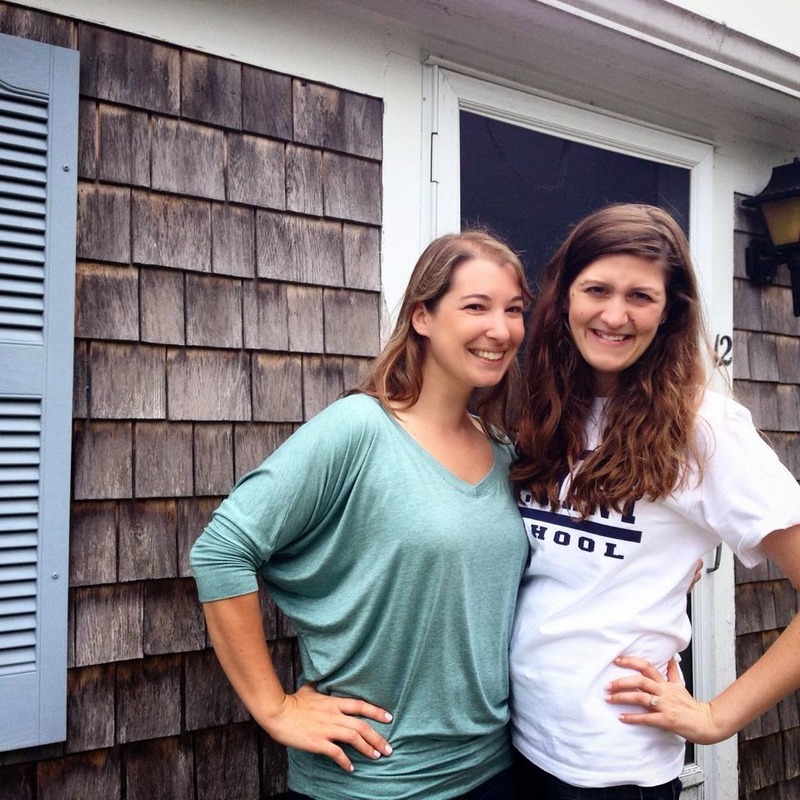 I teach kindergarten and so glad to hear you are going back….to k and to the east coast! Best of luck…your new house is too cute!! Congrats on the move and the new house! Congratulations on the all the new exciting, fun things happening! That house is darling!! 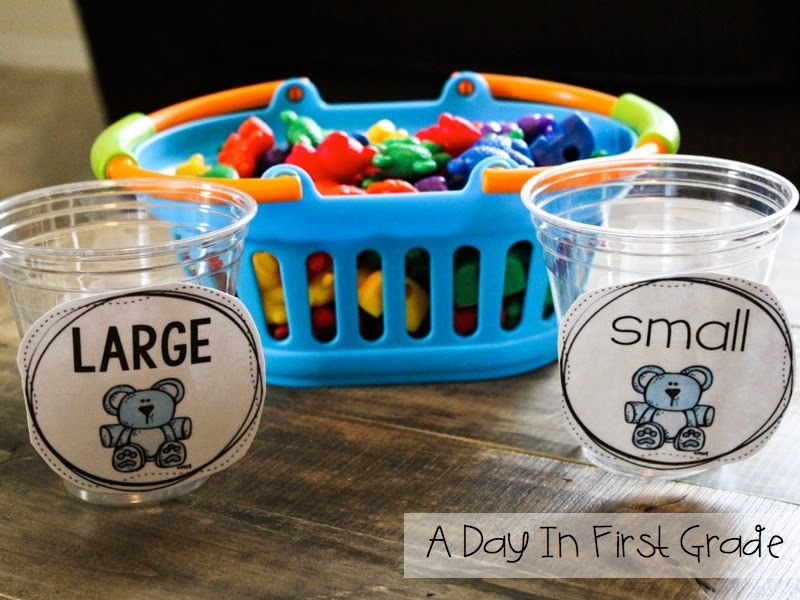 I’m moving from 3rd to 1st this year and love these to introduce centers and review concepts taught in kindergarten ! Congrats! I love this packet! I am so happy for you!! Looks like you were meant to come back to MA and K. All the pieces are just falling into place for you!! Loved your centers and your story!! Enjoy your new home and I am excited to see the new adventures coming your way!! Kindergarten teachers rock!! Congratulation! Big but exciting changes. I’m happy you are going back to Kindergarten. It’s a great grade, plus can’t wait to see what other great centers you come up with! How exciting! The best kindergarten teachers are the ones who have taught first grade. Your centers look great! 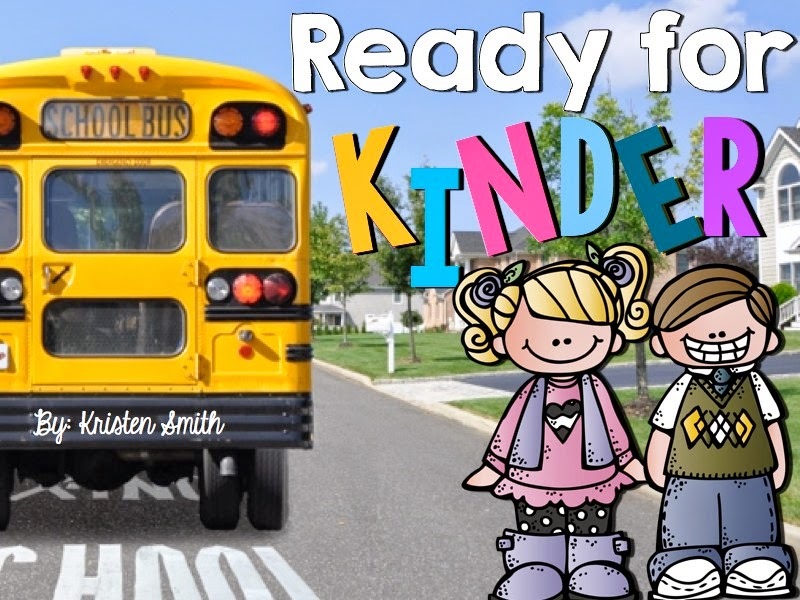 Looking forward to Kindergarten stuff! Yay! Welcome back to MA! I am in Maine on vacation and may have just yelled across our cottage “OMG ONE OF MY FAVORITE TPT TEACHERS IS MOVING BACK TO MA!! !” SO excited! Wow! That is so exciting for you! I wish you all the luck! Your centers for the beginning of the year are wonderful! I would love to use them in my own Kindergarten classroom!! These centers look amazing, such fun and creative ideas. I love the build a word family one especially. Congratulations on your new adventure. Sounds like the way it fell into place, it was a God thing, follow the path that God is leading you on and all will be well:) I teach Kindergarten in OK and am always looking for center work, yours look wonderful…looking forward to more of your inspiration! I teach kindergarten north of Boston. Welcome back! Great resource with skills that my Kinders need! Also, where did you find the cvc screw manipulatives?